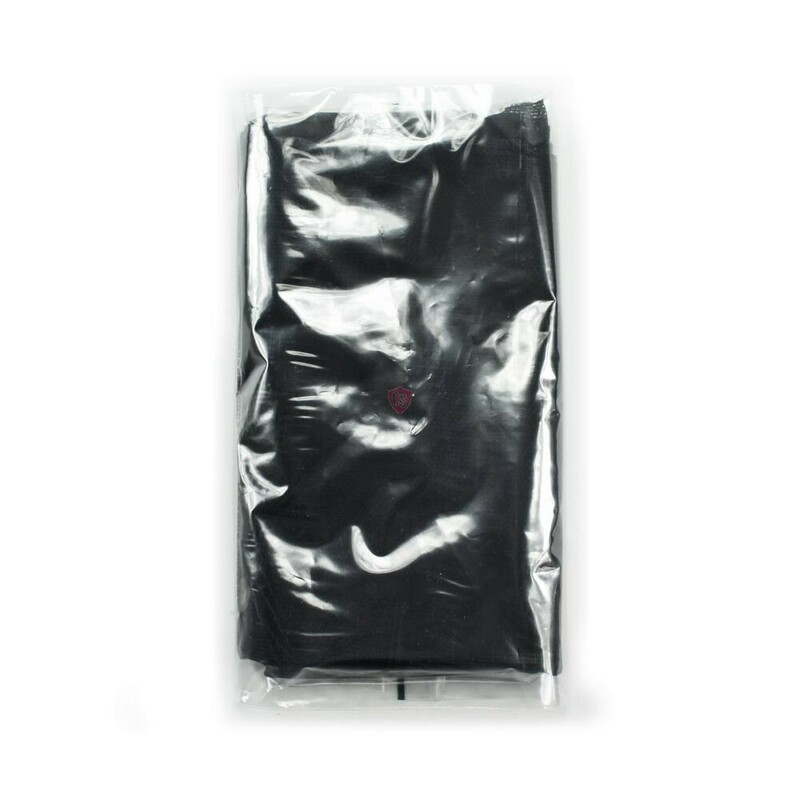 With this special OEM fabric you can repair holes or rips in your wind deflector. 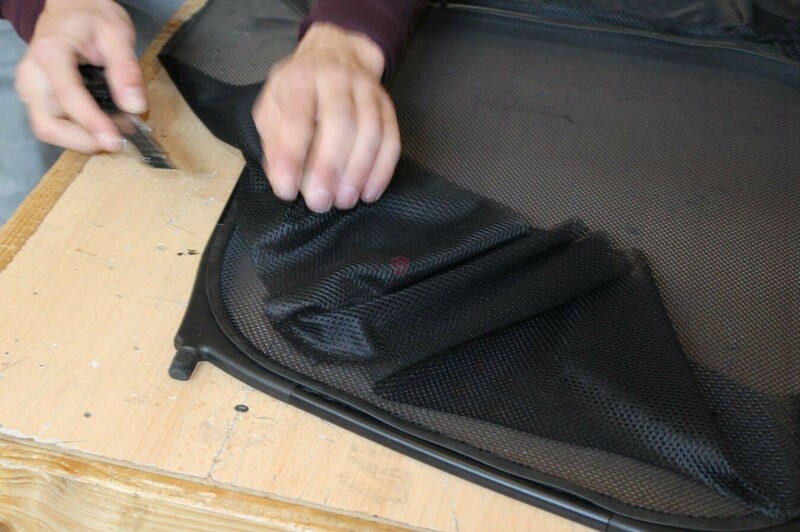 This original mesh fabric is for example used by: AUDI, BMW, MERCEDES-BENZ, MINI, PEUGEOT, PORSCHE, RENAULT, SAAB, VW. 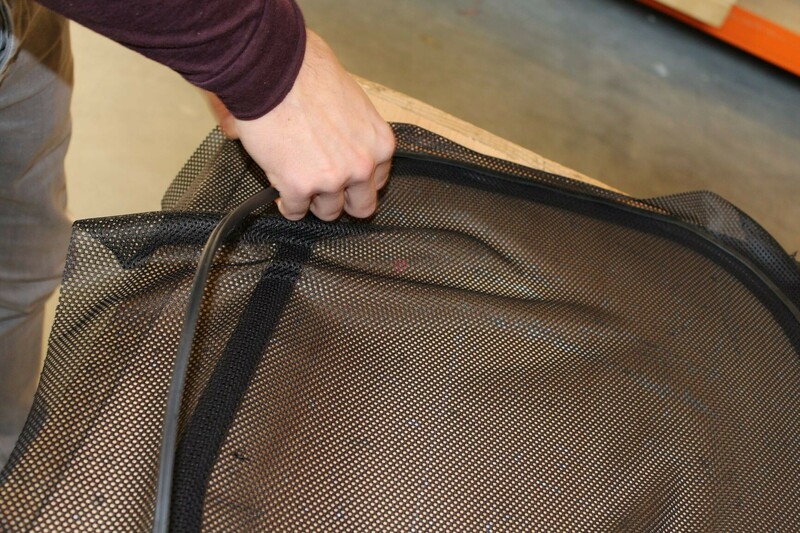 With 2 running meters of fabric you have more than enough to repair 1 wind deflector. 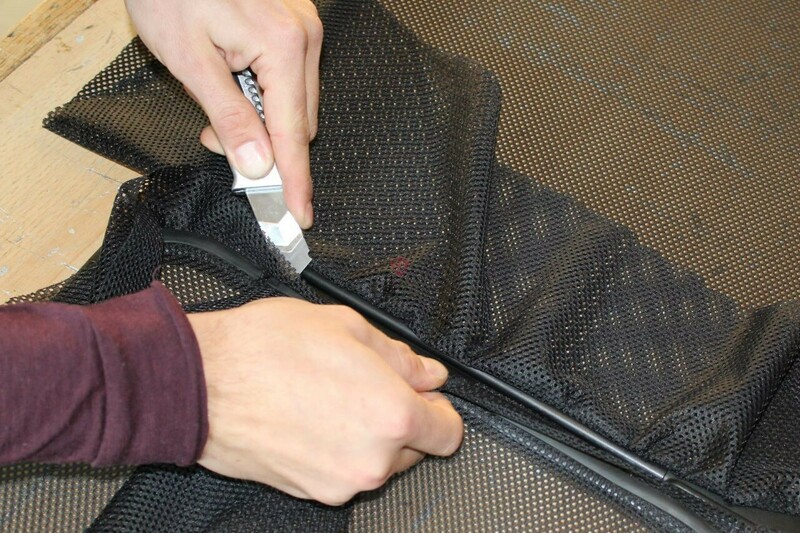 We as professionals for example use less than 1 meter to repair a wind deflector. 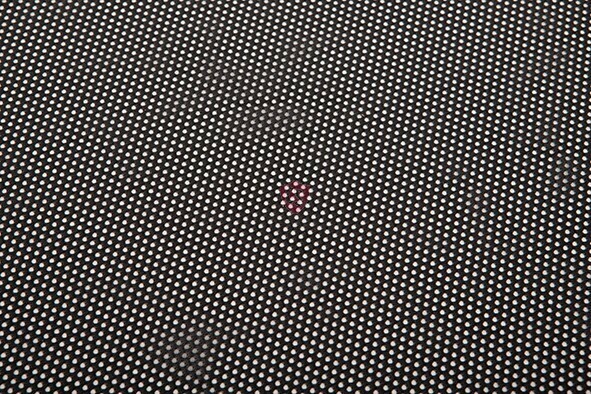 The reduction of air movement increases the effect of your car heater. The wind deflector redirects wind out of the back of your convertible and thus leads to the formation of a heat cushion in the passenger compartment. Drive your convertible with the top down in all seasons. Without the loud wind turbulence you can drive in peace and quiet with the top down. You will be able to enjoy the audio system of your car, talk with passengers and make telephone calls.Travelling at highway speeds for several hours is no longer exhausting. 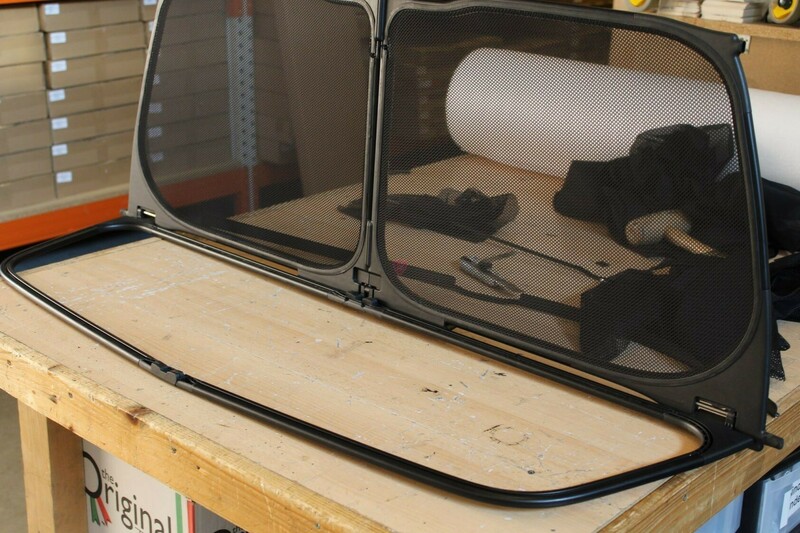 A wind deflector will not impair rear vision and complies with all safety regulations. 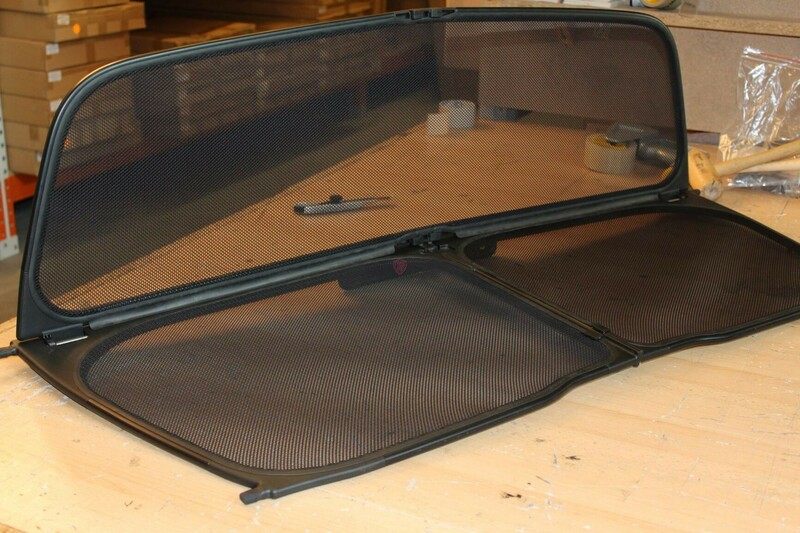 All wind deflectors are tailor made for a specific model and type of car, this way a perfect fit is insured. 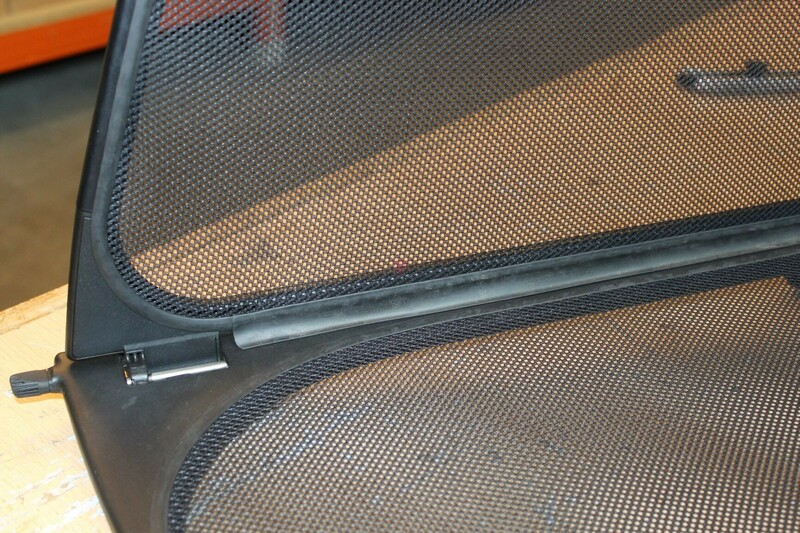 The raising or lowering of the top is not effect by the wind deflector., it can stay in place with top top up or down. An installation manual is allways included in the box. 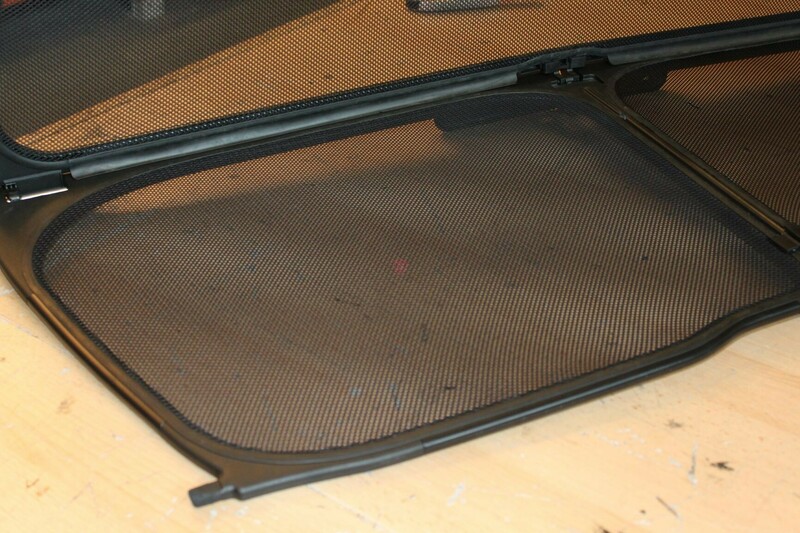 Wind deflectors are the popular accessory for convertibles. You will drive your convertible more often and longer with a wind deflector. 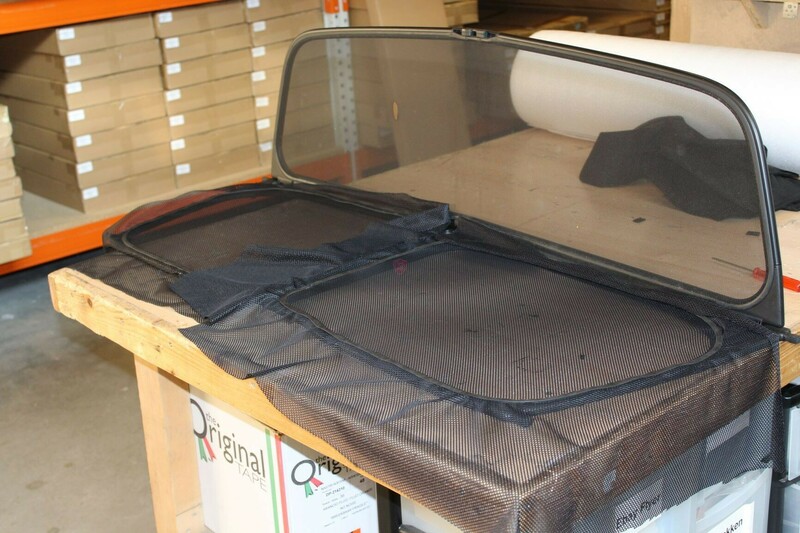 Cabrio Supply offers wind deflector for most modern and classic convertibles. 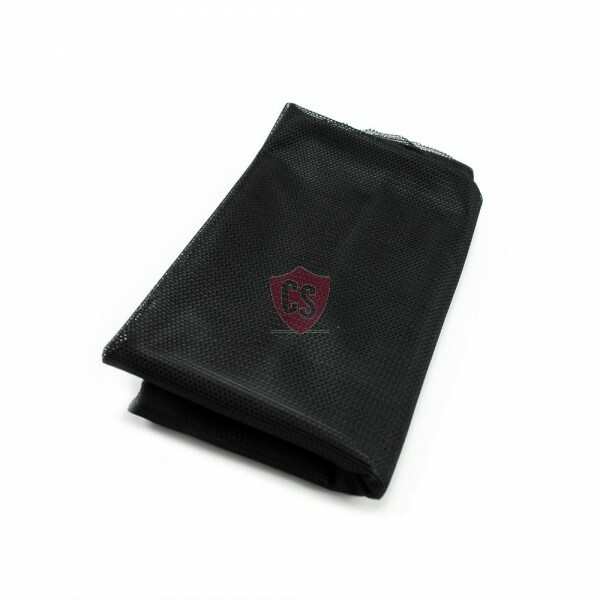 Wind deflector, windstop, wind screen, draft-stop or wind blocker whatever name is used it will ensure a relaxed drive.